Like a paper lantern that'd been loaded up with personal baggage, the three-part Keeping Up With the Kardashians trip to Thailand floated out of our hands for good last week. But just because the Kardashian-Jenners’ vaycay is no more, it does not mean the family’s shenanigans must come to an end. As any loyal viewer well tell you, the Kardashenanigans never end. No, no one toys with the idea of purchasing a helicopter or a private jet during Sunday night's ep, but the Kardashenanigans levels were HIGH (pun intended, sorry not sorry). But before Bruce Jenner yells at Kris Jenner and M.J. Shannon for getting ripped off of magic gummy bears (way to be a wet blanket, BRUISER), before Scott Disick uses an enormous bed in the Versace Mansion to show off his kewl flips, and before Khloe Kardashian and Kourtney Kardashian argue about whether or not the youngest sister owes the eldest sister $25k for her interior design work (read: Kourtney constructs a mood board) (just kidding, I’m sure Kourtney's design plans are great), a scene goes down that successfully takes the Kardashian kake. Khloe and Kourtney battle an unsuspecting winged creature that makes its way into their vehicle. As Kourtney drives Khloe to a home decor store, Khloe notices an insect has landed on her. She screams. And screams. And waves her arms around. And screams some more. If you've ever experienced the stress of a critter buzzing around the inside of your car, you understand Khloe's panic. YOU'RE TRAPPED IN A SMALL SPACE WITH A BUG AND IT WON'T STOP MOVING AROUND AND YOU CAN'T THINK STRAIGHT BECAUSE BUG BUG BUG BUG BUG. AUGHHHHHHHHHHHHHHH. The insect realizes Khloe isn't going to calm down, so it starts to plan its escape. 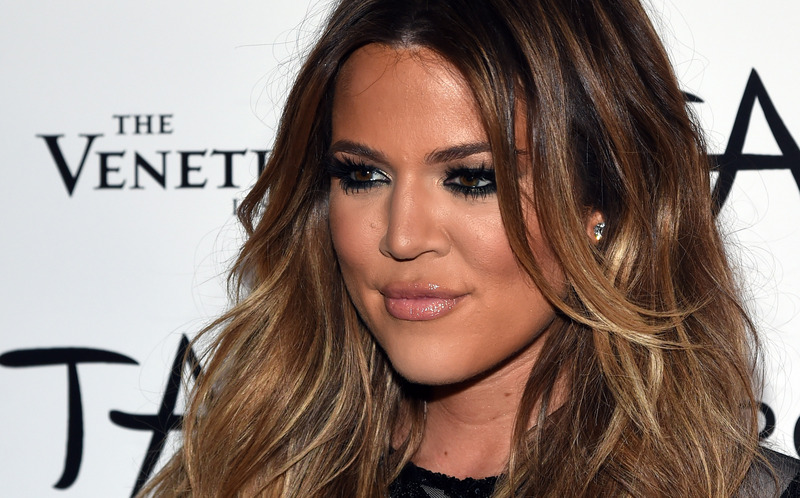 "Maybe they'll roll down a window," the insect mutters as it dodges Khloe's frantic hands. "Ugh, I hope they roll down the window. I thought this would be fun, but now I want to get the hell out of here." Neither sister rolls down a window. The insect sighs and moseys on over Kourtney’s side of the car. But the insect overestimates Kourtney’s composure. Kourtney screams. Khloe screams. The bug zips around like a maniac. The screams continue. This scene goes on for minutes. It's pandaemonium. It’s terrific. Just what species of insect are we dealing with? I hope that maybe-cricket made it out of the car okay.